What was once a guilty conscience, can now be considered clear. Canada Border Services Agency officers at the Pigeon River port of entry, south of Thunder Bay, Ont. 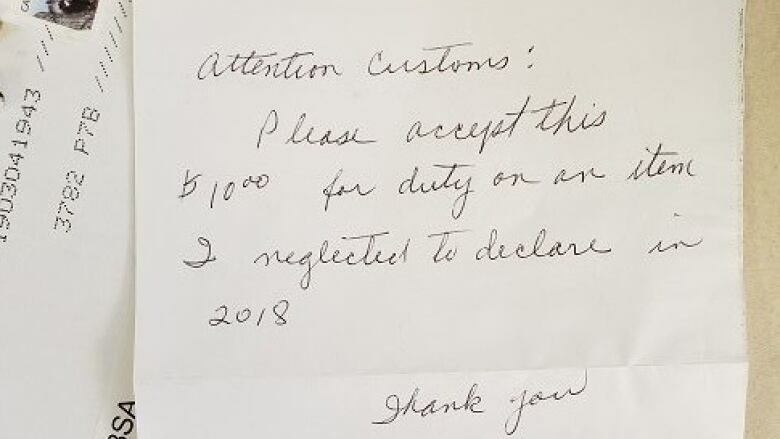 received a rare hand-written letter on Tuesday, which read, "Attention Customs: Please accept this $10.00 for duty on an item I neglected to declare in 2018. Thank you." Attached to the card, in an envelope with no return address, was a $10 bill. "Everyone was rather surprised, because it doesn't happen very often as far as we can tell," said Chris Kealey, a spokesperson for Canada Border Services Agency. "There was no return address or information on the envelope of any kind. It wasn't signed by anyone either." 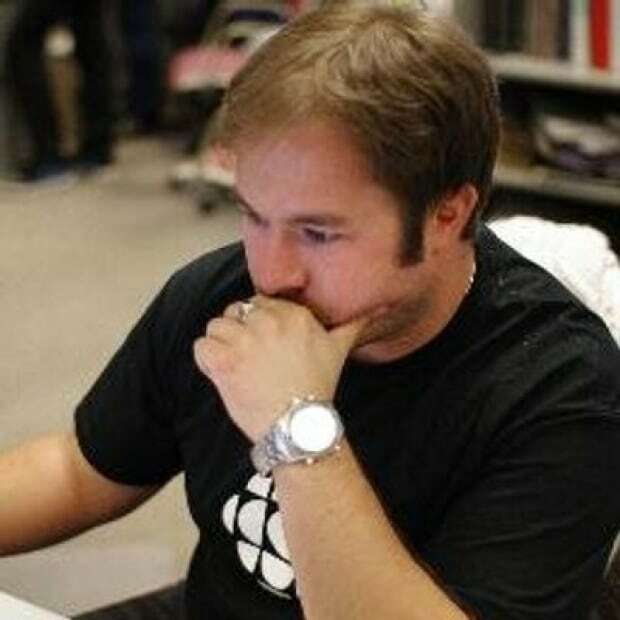 Kealey said the envelope originated from the Thunder Bay area. The note inside, was hand written, in cursive writing. "No one can remember receiving something like this in the past." As for what happens to the ten dollars in the card, Kealey said it is treated as revenue for the government. "The money goes into the general Government of Canada coffers, for the Receiver General [for] Canada, and what is also unusual, and this is an unusual case, is there's a revenue code, under which we have to identify the payment, and that revenue code is called 'conscience money.'" "Again, very rarely used, few people have ever done it, so we were very surprised there was an existing code for something like that."